Heidi Amsinck tells us what inspired her to write The Chanterelles of Østvig from her Nordic Noir collection Last Train to Helsingør, out now from Muswell Press. My Danish family is obsessed with foraging for chanterelles. The golden, trumpet-shaped mushrooms grow wild in the great dune plantations of Denmark's far north, and every year we get together in a wooden cabin to hunt for them. My late father, Finn, could walk the seemingly endless forest trails with his eyes closed. He knew where the chanterelles grew, but refused to commit his knowledge to paper, and taught us kids how to hide our tracks and put other mushroom hunters off the scent. The elusiveness of chanterelles appealed to his independent and wilful spirit, as did the fact that they cannot be cultivated. But what if someone worked out how to farm them? What if chanterelles became as common as any other mushroom, and a butter-sautéed feast of them could be had any day of the week? And, if a lover of chanterelles - such as my father - got the chance to stop this from happening, what would they do? You'll have to read the story to find out for yourself, but let's just say that in the depths of the Danish pine forests, no one can hear you scream. In my story, the protagonist is loosely based on an eccentric woman who lives locally to our cabin by the beach. Østvig could any one of dozens of quiet fishing villages, lining the rough North Sea coast. I lost my beloved father, but kept his secret. I, too, know where the chanterelles grow. 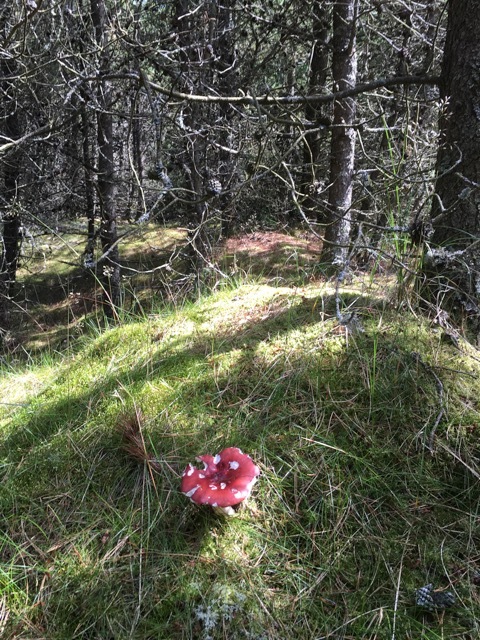 To this day, walking through the secluded woods, pushing through dense branches on a carpet of moss and coming across a hollow shimmering with golden fungi, remains one of my greatest pleasures. 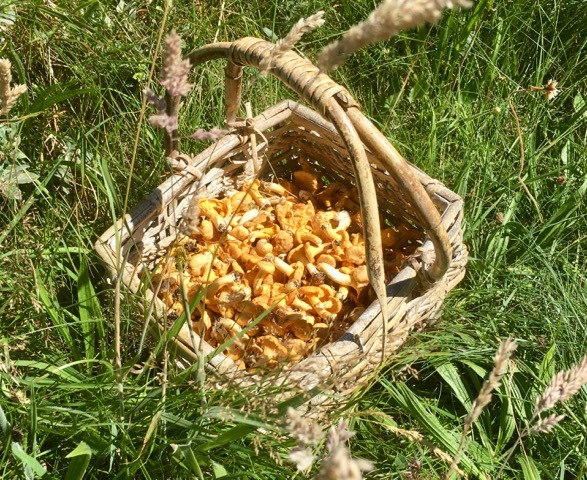 If you have never tried chanterelle hunting, I urge you to give it a go. But if you meet an old woman out there, with a woven basket and a mushroom knife, you might want to run in the other direction. Find out more about visiting Denmark here.